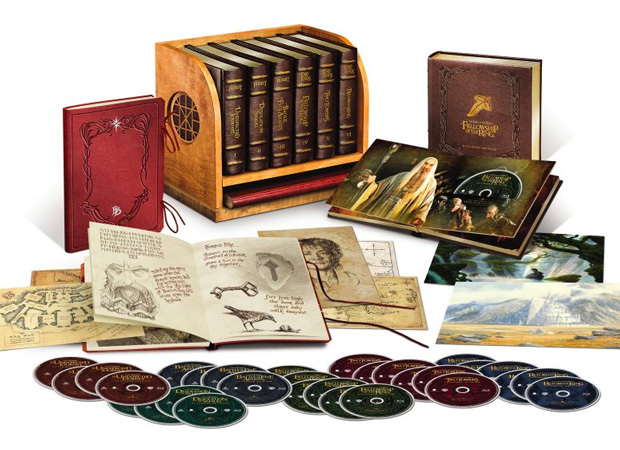 The ultimate Hobbit/LOR series movie box set will soon be available. The Middle-Earth Limited Collector’s Edition includes 30 Blu-ray discs: Extended cuts of An Unexpected Journey, Desolation of Smaug, Battle of the Five Armies, Fellowship of the Ring, Two Towers, and Return of the King, plus all the extensive behind-the-scenes documentaries. Each film is packaged as an ancient leather-bound book and comes in a wooden bookshelf. The collection also includes Bilbo & Frodo’s Red Book of Westmarch featuring re-created concept art from the films. Available October 4th. 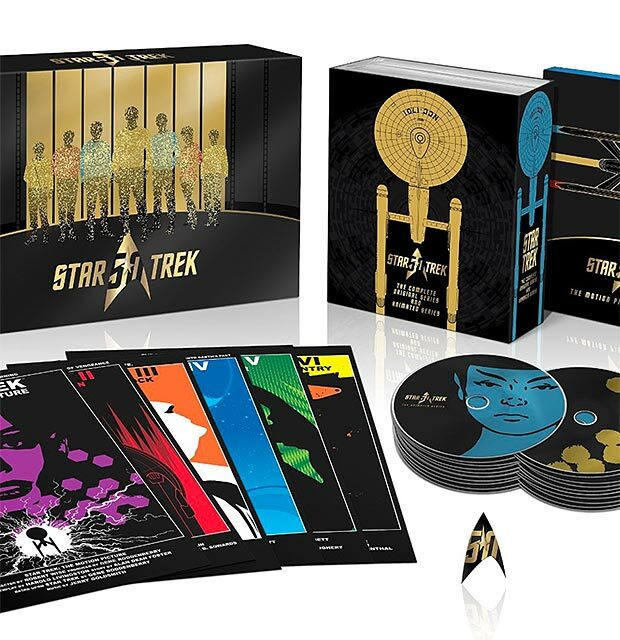 This limited edition 30-disc Blu-ray collection celebrates 50 years of Star Trek and includes every episode and feature film with the original crew, plus a new documentary with 2+ hours of fresh footage, the entire animated series, & a new director’s cut of Star Trek II: The Wrath of Khan. There are also hours of extras, mini posters from the films, and a Starfleet pin. Of all the war films ever made, none capture the paranoia & tragicomedy of the Cold War like Stanley Kubrick’s subversive classic Dr. Strangelove. 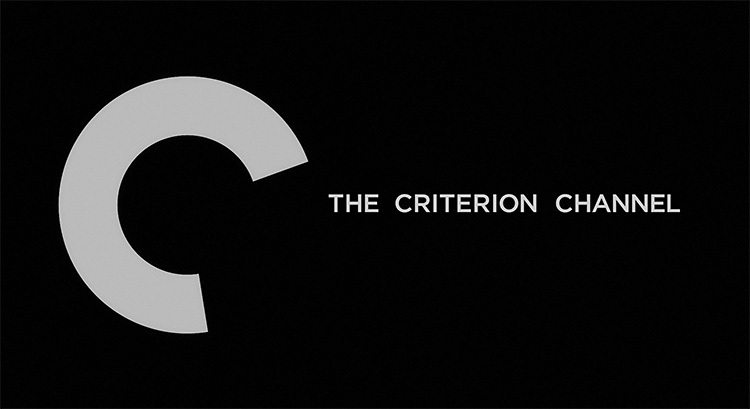 The new Criterion edition delivers it like never before: a 4K digital transfer & DTS-HD Master Audio, plus 4 short documentaries, trailers, actor interviews & lots of other extras. 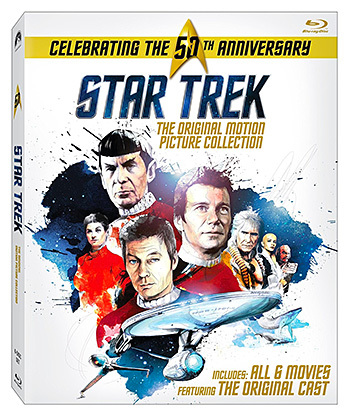 For the upcoming 50th Anniversary of Star Trek, Paramount is releasing a special Blu-Ray box set featuring the original 6 films: Star Trek: The Motion Picture, The Wrath of Khan, The Search For Spock, The Voyage Home, The Final Frontier, & The Undiscovered Country. 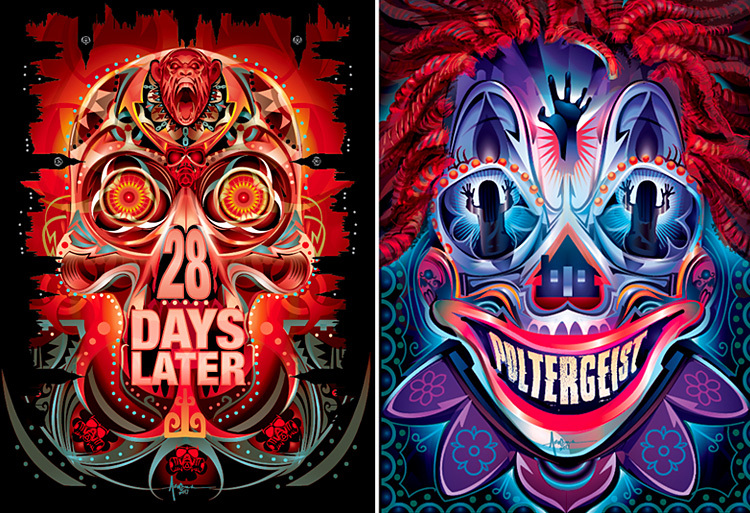 The films will be presented in 1080P video with Dolby TrueHD 7.1 soundtrack audio. 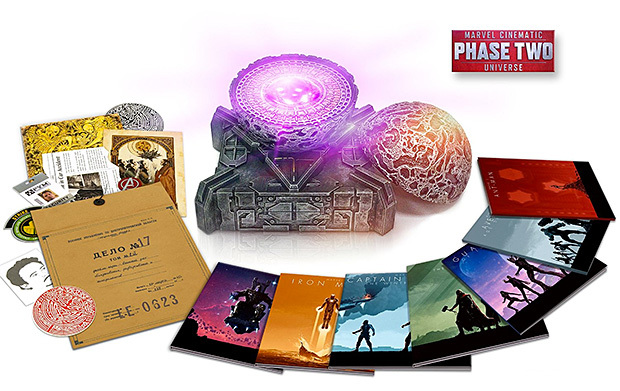 The limited edition, 13-Disc Marvel Cinematic Universe: Phase Two Collection includes Iron Man 3, Thor: The Dark World, Captain America: The Winter Soldier, Guardians of the Galaxy, Avengers: Age of Ultron, and Ant-Man, all in Blu-ray 3D. Digital Copies of each are also included. 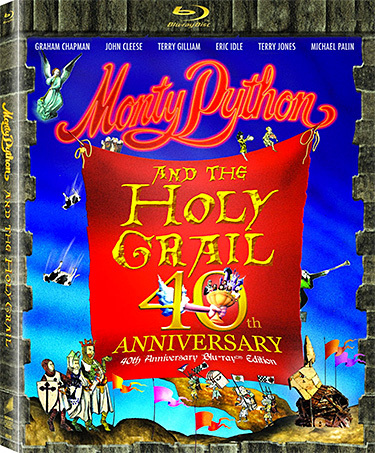 Monty Python & The Holy Grail is a ridiculous comedy classic & so bloody British. The film turns the big 4-0 this year, so here comes the re-mastered 40th Anniversary Blu-ray featuring all the severed limbs & killer rabbits you remember in crisp, clear widescreen high definition. Amazon’s exclusive Ultimate James Bond Collection features all 23 Bond films together in one Blu-ray box-set, including a 24th film, Spectre, plus for the first time, digital copies of the collection. 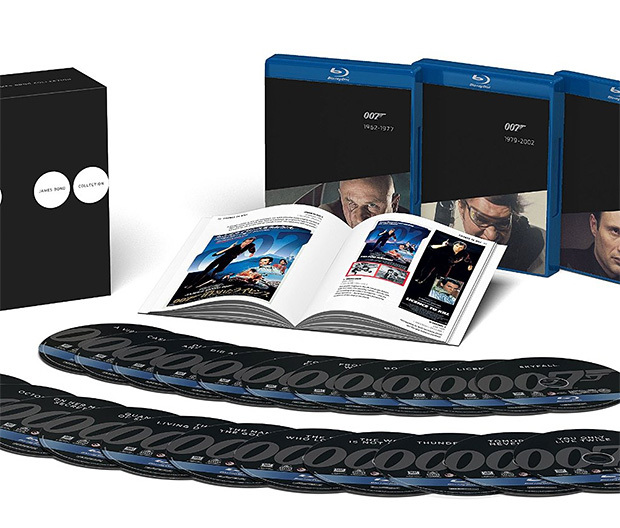 The set also includes a bonus disc exclusive of “Everything or Nothing“, a 90-minute documentary on the untold story of 007 plus a pocket-sized James Bond 50 Years of Movie Posters book. Stanley Kubrick’s 2001: A Space Odyssey is a movie so groundbreaking & original, it’s hard to imagine how the cinematic masterpiece was actually made. 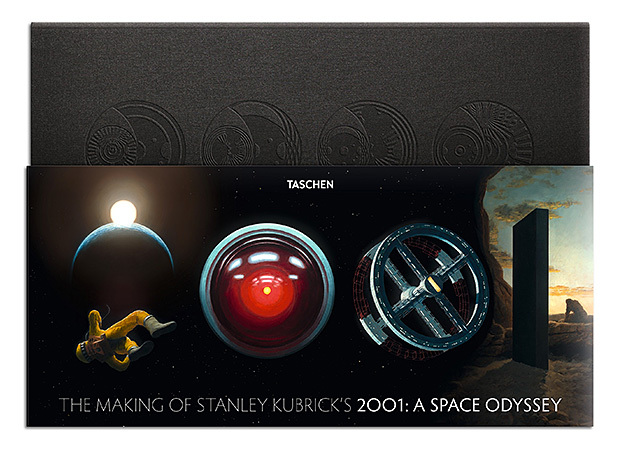 Now the answers to all those questions can be discovered with this 562-page book from Taschen. The ultimate companion to the film, it contains on and off set photographs, pre-production paintings, conceptual designs, and publicity materials plus insights from the actors, senior production designers, & special-effects experts. 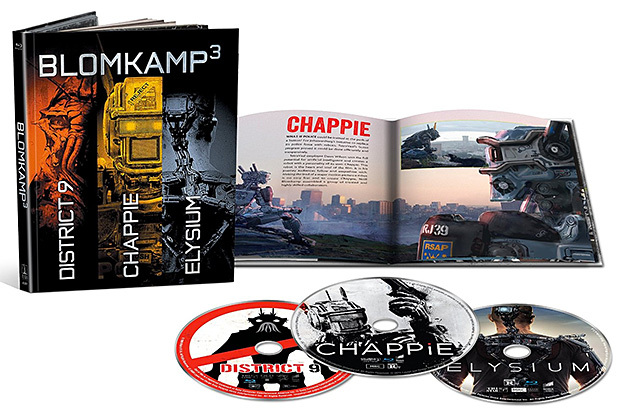 Sci-Fi auteur Neill Blomkamp is the director behind the droids and destruction in the near-future film Chappie as well as District 9, & Elysium. 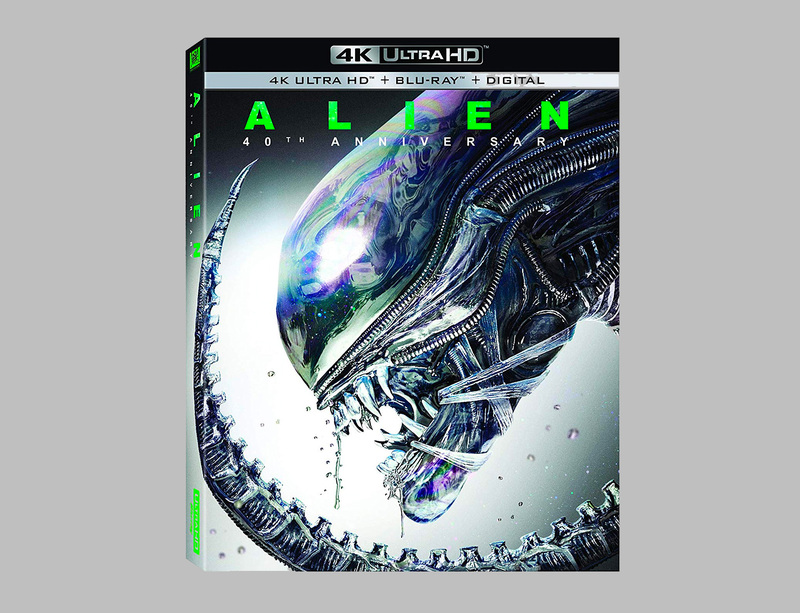 This new box-set contains all 3 films in widescreen Blu-ray plus an included digibook.